DOHS decided to send most of its Louisville clothing and blanket supply to help our members in Chicago give four families of Darfuri refugees what they need for the cold weather. Khamiss Youssif traveled from Louisville to Indianapolis to meet Abdulatif Isaac and Ahmed Ahmed, who came down from Chicago. 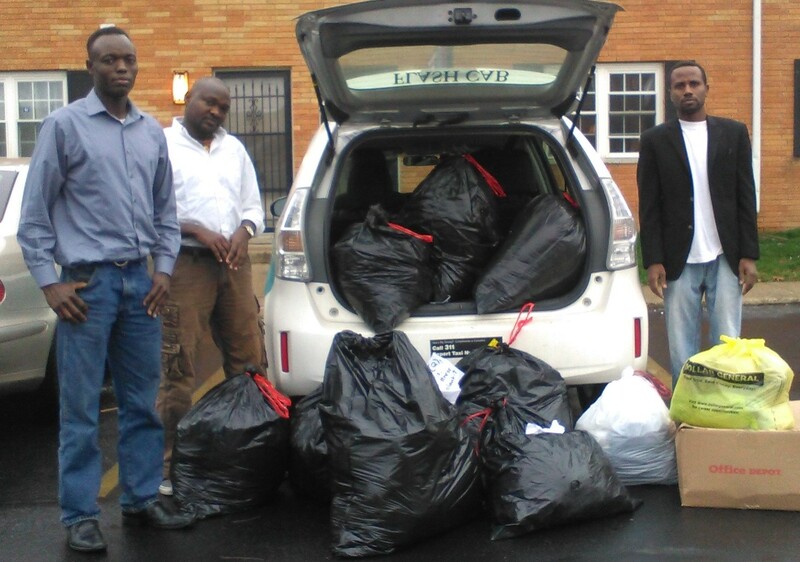 Pictured left to right below are Ahmed Ahmed (one of our members), our Secretary, Abdulatif Isaac and our President, Khamiss Youssif with the bagged donations in Indianapolis. Our thanks to Ibrahim, Aziza and her mother for letting us meet at their apartments for dinner and tea.